APF, Inc. is an Atlanta, Georgia based company specializing in custom stone and quartz bath and kitchen countertops. A Polished Finish was started and is still owned and operated by Mark & Brittany Hayes. Mark Hayes started APF, Inc. during his senior year of college at the University of Georgia. Mark graduated from the University in the fall of 2004 with a bachelor’s degree in History. 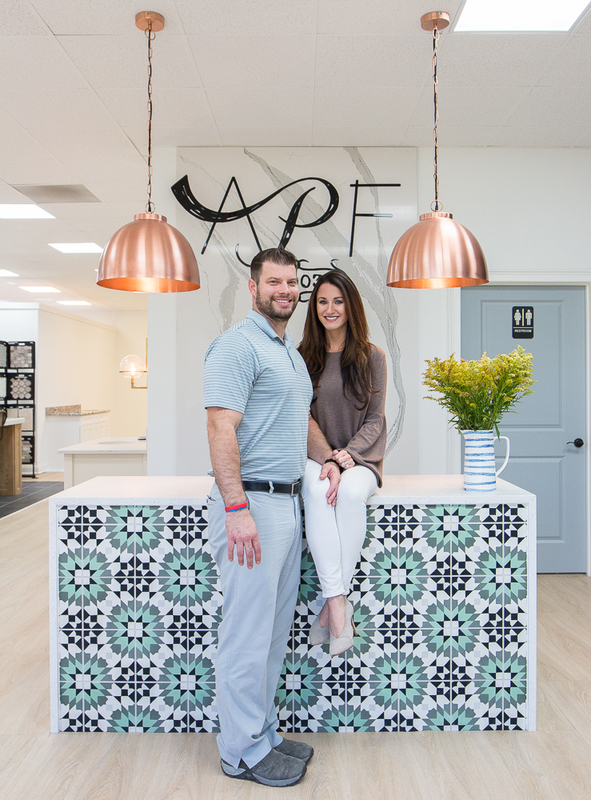 With the help of his wife, also a student at UGA, APF quickly grew into one of the biggest and most well-known countertop companies in the Southeast. Mark and Brittany continue to run the company together and now have two beautiful little girls: Addison Annabelle who is 10 years old and Winter Hailyn who is 5 years old. Mark’s drive for success and passion for the industry have allowed APF, Inc. to continue to grow each year.